Pediatrics International published research on 100 Brazilian children (ages 8-11 years old) evaluating interlimb coordination and its relationship to their academic performance. Each child was assessed with the Bruininks–Oseretsky Test of Motor Proficiency and the Academic Performance Test. Participants were grouped into low (<25%) and high (>75%) academic achievers. a significant difference between groups for Total Motor Composite on the Bruininks-Oseretsky favoring the high group. a significant association between academic performance and Body Coordination. 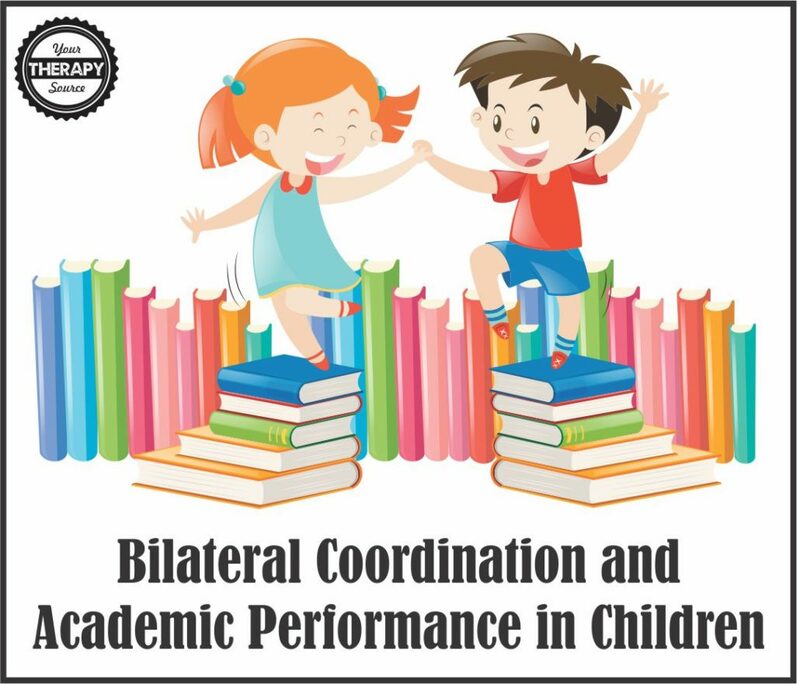 from the subtests of Body Coordination (Bilateral Coordination and Balance), Bilateral Coordination accounted for the highest impact on academic performance. 25+ Bilateral Coordination Exercises is a collection of bilateral coordination exercise sheets including QR codes with links to video demonstration of exercises. A QR code is a black and white image with squares, that stores website links for reading by the camera on a smartphone.Each exercise page includes picture images and step by step directions of a whole body bilateral coordination exercise. Also included, is a link to a You Tube video with a demonstration of the exercise along with a slow motion video of the exercise. Parents, students or teachers can simply use a QR code reader app on their smart phone or tablet to go directly to the video demonstration. These activities encourage: bilateral coordination, motor timing, motor planning, muscle strengthening and balance skills. Troll Yoga Poses Will My Child with Cerebral Palsy Walk?